Hundred-year-old trees are impressive, but thousand-year-old rocks may be more significant when looking for long-term climate clues. 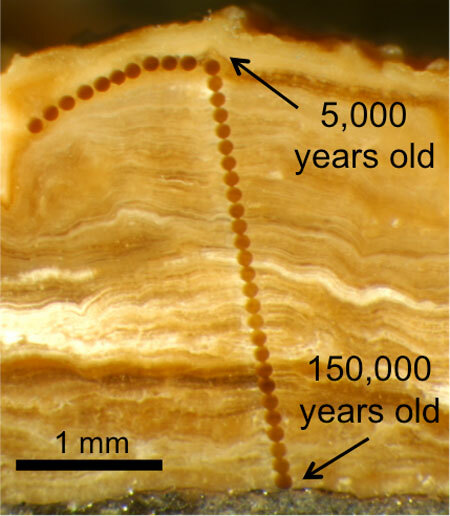 On Monday, UC Berkeley soil scientists published evidence of growth rings on rocks similar to rings on trees. The scientists specifically evaluated soil that formed thin rings around gravel and pebbles. The deposits were so thin, in fact, that some were no more than 3 millimeters thick. These carbonates in soil covering the rocks act as temperature and rain indicators. "There is a mineral that accumulates steadily and creates some of the most detailed information to date on the Earth’s past climates,” says senior author Ronald Amundson, a UC Berkeley professor of environmental science, policy and management. This detailed information covers 120,000 years in North America and includes glacial and interglacial periods during the Pleistocene Epoch. This history, capturing environmental conditions thousands of years ago, is important for understanding climate change. To predict how temperatures will change in the future, scientists often look backward, to see how the climate fluctuated in the past. "The information will be useful to improve the accuracy of climate models by providing known conditions to calibrate them to," says study lead author Erik Oerter. It's also useful because these samples are easier and less costly to obtain than Antarctic ice cores or ocean floor sediments. 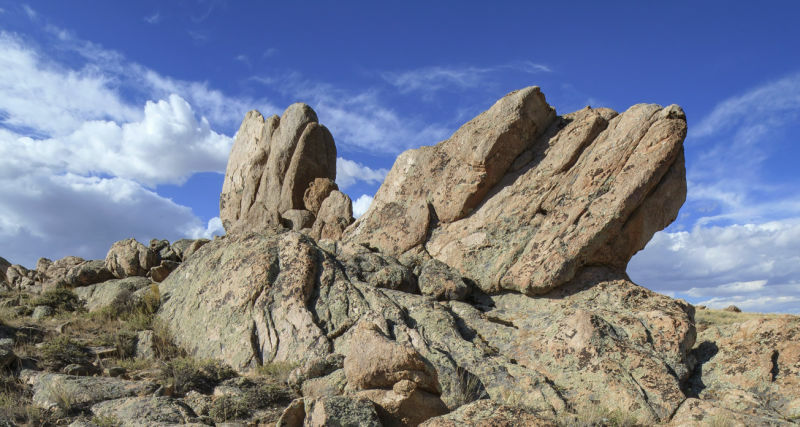 And although the rocks were collected in Western Wyoming, these types of soil deposits are found in drylands worldwide, making them extremely accessible. To date the samples, the researchers used uranium isotopes. Oxygen and carbon isotopes found in the deposits revealed clues about the rain temperature and soil respiration when the mineral was formed. Warm rain resulted in higher levels of oxygen 18. Carbon isotopes, specifically the ratio of carbon 13 and carbon 12, reflected levels of soil respiration. Uranium isotopes were also used to calculate how much rain the soil received. So the isotopes act like a “paleo rain gauge,” according to Oerter. His team discovered that around 70,000 to 55,000 years ago, rain patterns in North America shifted. They changed from a west-to-east flow from the north Pacific to a south-to-north flow from the Gulf of Mexico. This meant wetter summers and drier winters in Central America, the opposite of what was typical. Oerter says this is a new geologic finding and can, "fill in key gaps in the paleoclimate record."